The world of social media is expanding exponentially, and businesses should pay attention. Top social media sites like Facebook, Instagram, Twitter, and LinkedIn, as well as apps like Viber, are here to stay. However, it’s good if you take advantage of other social media platforms. They could provide you with new ways and opportunities to increase your online visibility, customer base, and sales. Stay on top of your social media marketing goals! Whether you’re a seasoned or newbie entrepreneur or marketer, here are six emerging social media platforms you should start exploring. If you like Instagram and would want to maximize your influencer marketing strategy on social media, then Vero might interest you. This social network was launched in 2015 but gained massive growth in March 2018. Because it doesn’t use any algorithm and is ad-free, you can work with more influencers and share any type of content with your target audience. Vero’s unique features can give you a chance to increase your online presence and provide your audience/followers with a great browsing and viewing experience. Social media users and consumers love to watch videos, so it’s a great idea to use this format to promote your brand. As an alternative to more established video apps and sites like Snapchat and YouTube, you can try TikTok. This short-form video platform was launched in 2016 and merged with musical.ly in 2018. It has been downloaded more than 800 million times worldwide. This proves that TikTok is an excellent platform that you can utilize to share your video content, especially if you’re targeting a younger market. The recent shutdown of Google+ may have affected a lot of businesses, but Google was quick to come up with a solution! With Google My Business App, it’s easier for companies like yours to create a business profile and attract and connect with customers. You can even merge your then Google+ and Google My Business profiles. Optimize this platform’s features to learn how people discover your business, post and share content, engage your customers, and keep them up to date with your exciting offers. Although it’s primarily an online publishing platform, Medium can also pass as a social network because of some of its features. If you want to amp up your content marketing strategy on social media, then this is the best platform for you. With Medium, you can publish original articles, repost your blog posts, and easily link your social media profiles to your articles on Medium to generate new followers and expand your reach. Your virtual assistant can help to ensure that you have a steady flow of content and keep your social media channels active. Let more people discover your business with the help of Foursquare Swarm. All you need to do is add your place to the listing and upload your location info, photos, tips, and other details. Anyone using this app will be able to see your business, visit your place, and perhaps recommend it to others! Wouldn’t it be great to see more people “check-in” to your store and announce it on social media? With Foursquare Swamp, you can achieve that. Instant and social messaging apps are beneficial to businesses, especially if you have remote workers. If you’re familiar with Viber and WhatsApp and you want to try something new, then Line is the tool for you. With this app, you can send messages and make calls for free, as well as share your brand’s photos, videos, news, and promotions! Technology and social media are undeniably essential for today’s businesses. 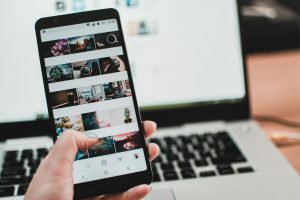 With these emerging, innovative social media platforms, you can connect with your customers and grow your business in new and more interesting ways! Do you want to try any of these social media platforms? Our VAs can assist you. Contact us to find out how we can work together!